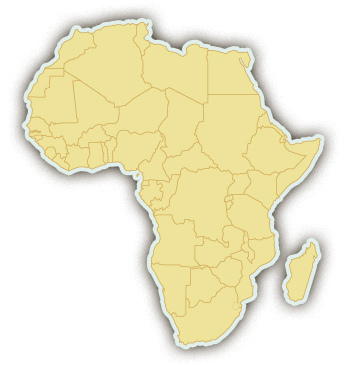 Although much of Africa is technically a desert, the second largest continent in the world has everything from tropical ecosystems, high mountains, and even a glacier on Mount Kilimanjaro. Rafting trips in Africa vary as much as the climates – from the big, Class V waters of the famous Zambezi River in Zambia to the crystal clear rapids in the Atlas Mountains in Morocco, to the multi-day float trips in South Africa. A common feature on all Africa whitewater rafting trips is spectacular wildlife and astounding scenery. Africa’s vast wilderness is home to hippos, crocodiles, gazelles, cormorants, and kingfishers. Ethiopia’s Omo River even has a section named "hippo alley." Rafting trips in Africa are offered in Ethiopia, Morocco, South Africa, and Zambia / Zimbabwe.